World Heart Day is celebrated every year on 29 September. Created by the World Heart Federation, World Heart Day informs people around the globe that Cardiovascular disease (CVD), including heart disease and stroke, is the world’s leading cause of death claiming 17.5 million lives each year. The day highlights the actions that individuals can take to prevent and control CVD. 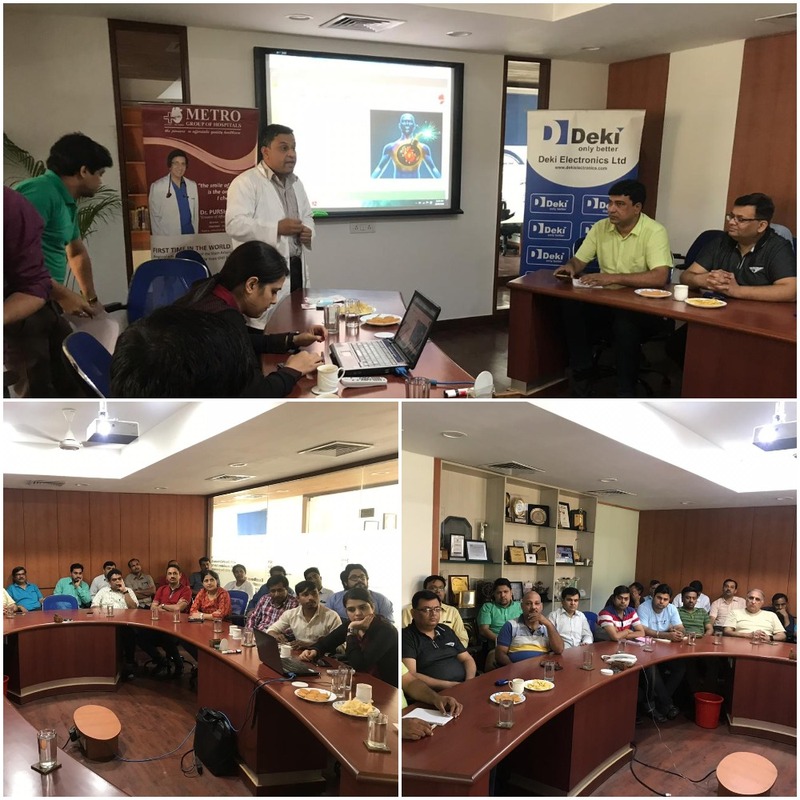 Deki organised a health talk on World Heart Day 2018 by Dr. Faizan Khan, cardiologist at Metro Hospital in NOIDA. The talk took the audience through the aspects of a healthy lifestyle and the importance of exercise and diet towards keeping a healthy heart. Dr. Khan also demonstrated Cardiopulmonary resuscitation (CPR), an emergency procedure to help a person who is in cardiac arrest. The 46 employees who attended the session got exclusive coupons for a free health checkup at Metro Hospital with basic tests and consultation with a cardiologist.